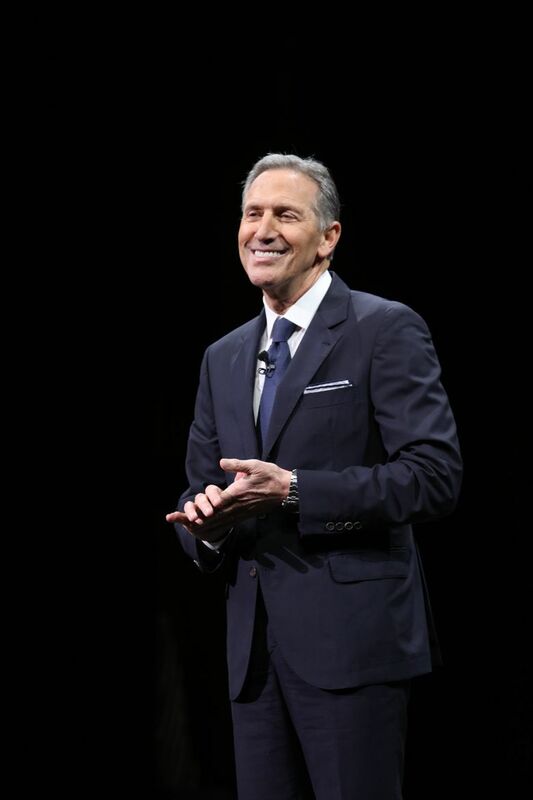 Starbucks' annual meeting Wednesday at McCaw Hall — its last with Howard Schultz as CEO — featured quite a few patriotic touches, perhaps a reaction to the furor surrounding Schultz's decision to hire 10,000 refugees worldwide over the next five years. 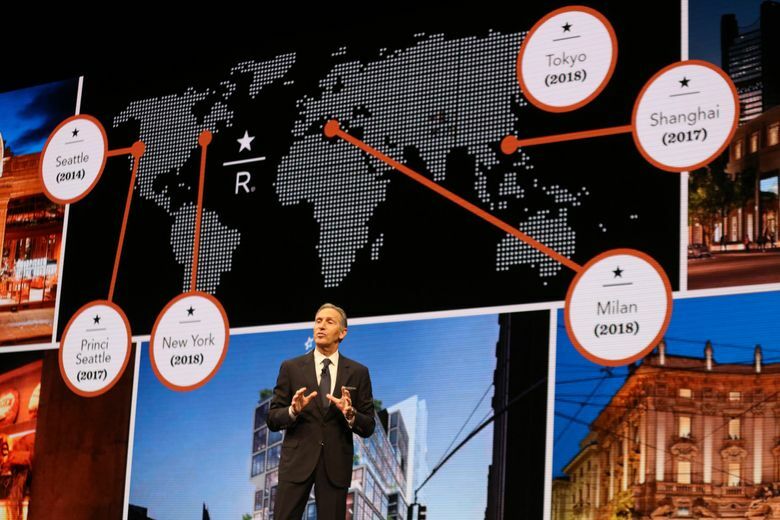 Starbucks’ annual meeting Wednesday at McCaw Hall — its last with Howard Schultz as CEO — featured quite a few patriotic touches, perhaps a reaction to the furor surrounding Schultz’s decision to hire 10,000 refugees worldwide over the next five years. 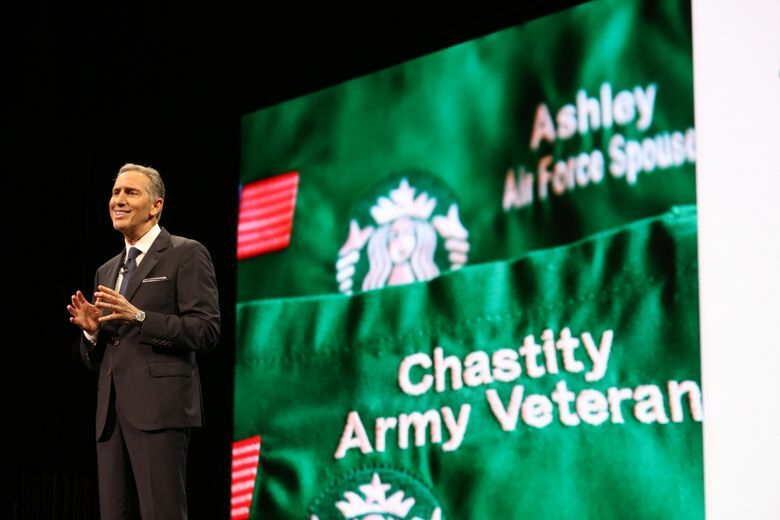 The meeting opened with a singing of the national anthem by members of Starbucks’ employee choir, joined by the Seattle Recruiting Battalion Color Guard. Attending military personnel, veterans and military spouses were invited to stand. At the meeting, the company emphasized its hiring goals, saying it would hire more veterans and young Americans looking for better opportunities, while holding firm to its decision to employ 10,000 refugees globally over the next several years. 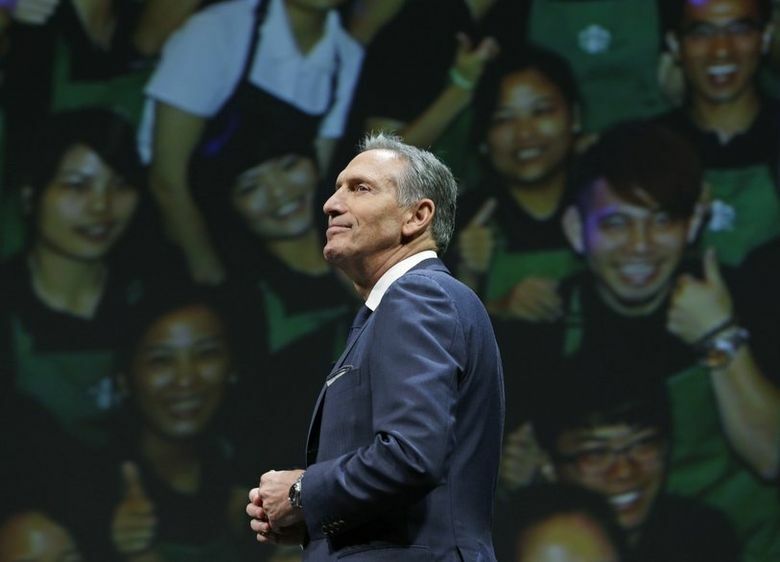 Starbucks has seen no “brand dilution” nor hits to Starbucks’ core business or reputation because of its decision to hire refugees, Schultz said. Its previously stated plan to open 12,000 new stores globally over the next five years will result in more than 240,000 jobs worldwide. That includes 3,400 stores, representing 68,000 jobs, in the U.S. It has reached its goal of hiring 10,000 U.S. military veterans and active-duty spouses a year ahead of schedule. The company set a new, expanded goal of hiring a total of 25,000 veterans and military spouses by 2025. It also plans to dedicate 100 more military family stores — those Starbucks stores located close to military bases and operated by veterans and their supporters — across the U.S. in the next five years. Starbucks has taken considerable flak over the past two months for Schultz’s pledge to hire 10,000 refugees over the next five years for its stores in 75 countries — a pledge Schultz made in response to an executive order from President Donald Trump temporarily banning all refugee entry into the U.S. It has exceeded its goal of hiring by 2018 10,000 young Americans who aren’t employed or in school, to help them enter the workforce. Starbucks said it has already hired 40,000 such youths, and has expanded its hiring goal to 100,000 by 2020. The company also said it would expand its partnership with Arizona State University to offer more individualized help to applicants who need additional assistance in meeting admission requirements. Starbucks partners with ASU to offer tuition reimbursement for eligible employees enrolled in ASU’s online program. Incoming CEO Kevin Johnson, who starts in his new role April 3, introduced several new food offerings — something the company is focusing on as a way to wring more profits from its stores. Its sous vide egg bites, launched earlier this year, “are a hit, when you can find them,” Johnson said. The company also recently launched a gluten-free breakfast sandwich and vegan bagel. It’s also launching a lunchtime menu, called Starbucks Mercato, featuring grab-and-go salads and sandwiches made fresh daily. It will launch next month in 100 Chicago stores and, depending on customer reception, will expand to other markets. On the digital front, the company said 8 percent of all U.S. transactions are made using its mobile order-and-pay feature on its mobile app. It’s working to reduce congestion in stores from people coming in to pick up their mobile orders, Johnson said. The company also said that some Ford vehicle owners will be able to place orders from their car using voice command. Starbucks earlier this year had announced the ability to order by voice through Amazon’s Alexa platform (as well as through Starbucks’ own My Starbucks barista feature on its mobile app). With the planned integration of Alexa and Ford vehicles later this year, people with a Ford car equipped with SYNC3 will be able to place orders by saying “Alexa, ask Starbucks to start my order,” the company said in a news release. On the social gifting front, the company is launching next month the ability to send Starbucks gift cards directly through Apple’s iMessage app and Apple Pay. Musician Leon Bridges was the musical guest at this year’s annual meeting. As the meeting drew to an end, Johnson acknowledged the enormity of the role he would be stepping into starting April 3. “I know I have venti shoes to fill,” he said. 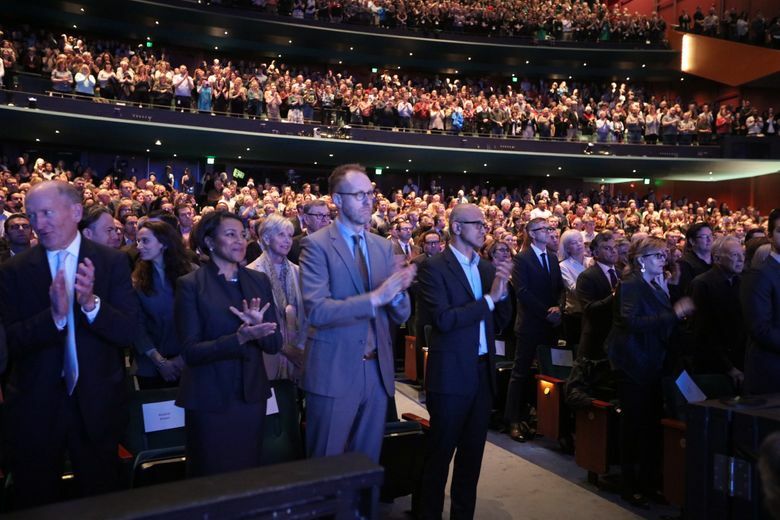 The company also announced that shareholders had approved the slate of board directors, including the election of three new directors: Satya Nadella, CEO of Microsoft; Rosalind Brewer, former president and CEO of Sam’s Club; and Jorgen Vig Knudstorp, executive chairman of Lego Brand Group. James Shennan, Jr., a Starbucks board member since 1990, retired from the board. A shareholder proposal to amend Starbuck’s proxy access bylaws was not approved.